Most organizations understand the importance of innovation, yet they are less certain about how to encourage it. They also understand that employee behavior propels or impedes progress toward its mission, purpose and goals. That's why they put performance management (PM) systems in place. However, many managers realize their PM practices are cumbersome, and often ineffective. This is because there is often a gap between the intended organizational goals and actual goal attainment. To reduce this gap, management needs to improve their PM system. That's where the Professional Growth Process (PGP) and LifePsych® Coaching (LPC) come in. They're an integrated and innovative substitute for all “performance appraisals” in any performance management (PM) system. Most importantly, the process encourages all employees to take personal responsibility for their self-created career aspirations. Micro-learning is a focus on smaller units of learning that lead to a greater whole. It usually involves shorter-term learning activities completed more frequently over time. The near-term focus is best related to larger strategic objectives such as the mission and goals of an organization. 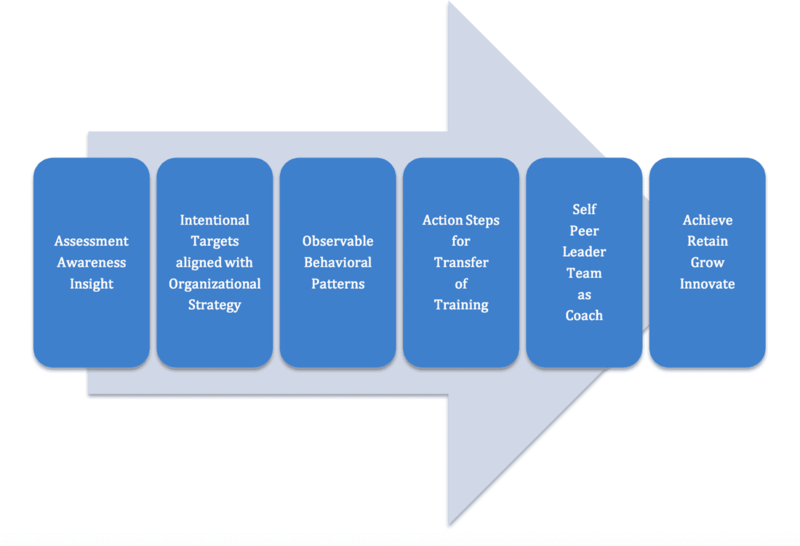 The Professional Growth Process (PGP) and the LifePsych® Coaching methods meet all of the criteria related to the common definition of micro-learning. The PGP helps employees propel work performance, self-development and interpersonal engagement toward organizational goals. It's a system that plans, monitors, and records behavioral movement toward intended goals. The PGP also encourages reviews and rehearsals so gains are deeply retained as long-term habits. The LifePsych® Coaching (LPC) method is a systematic approach to coaching using this process. The PGP, in harmony with the LPC, encourages leaders to conduct goal-oriented conversations related to work performance, self-development and interpersonal engagement. Taken together, this method propels personal innovations that contribute to organizational innovations. Growth is difficult, yet has positive outcomes. Decay is easy and has negative consequences. Organizations and businesses determined to succeed need a critical mass of employees who are willing to grow their capabilities. Success in work, as in life, requires the "will to grow intentionally" — choosing to apply disciplined energy into goal oriented personal innovations leads to organizational innovations. Get the workbook that outlines our complete micro-learning program for organizational/employee motivation, engagement and growth.